Crafting With Craig: Rudolph the Pink nosed Reindeer & friends. Rudolph the Pink nosed Reindeer & friends. So we are now into October, how scary! Funnily enough it's the month to be scared isn't it with Halloween round the corner. So with as Halloween is just round the corner, I have decided to make a........girl pink Christmas card! 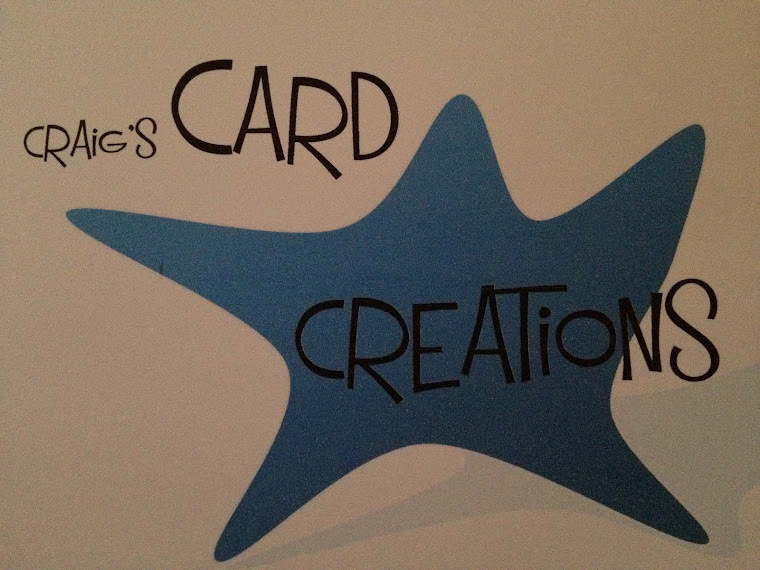 The products used to create this card is 98% all Stix2 products, including the card blank! Yip you heard me right. Stix2 now do card blanks in a range of different sizes, even better, you get the envelopes to. Not all places supply the envelopes, I know that's crazy isn't it. The stamp Iv used is from Woodware, and is called Rudolph and friends. However instead of colouring it with traditional colours to match the design. 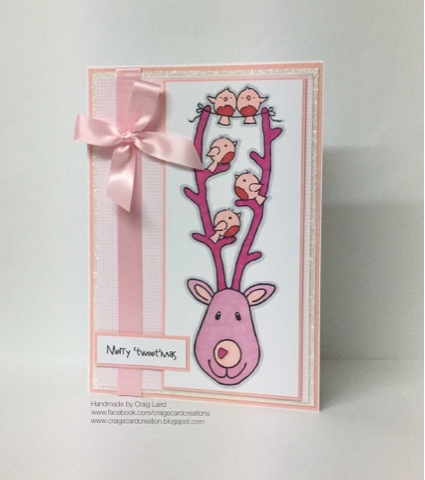 I have coloured it in different shades of pinks to make it a very girly card. As I always do with most of my stamped images, I draw around the stamped image with a grey pen. The image and the sentiment is actually also stamped onto white card by stix2. I have cut an A5 card blank in half and stamped the image onto that. The card is smooth crisp and clean and is a lovely surface to not only stamp onto but also colour. It holds the coloured ink very well. A5 card blank and envelope (6 pack) - S57342. 6mm red liner ultra sticky tape - S57090. 16mm Baby Pink satin ribbon - S57210. Rainbow white iridescent glitter (2 X 8g tubes) - S57304. Rudolph and friends stamp (FRS320) - Woodware Craft Collection. Pink textured card stock - Bazzill Basics. - I have matted the coloured image on Pink textured card stock by Bazzill Basic and I have placed 1mm 3D foam from a roll on the back to give it extra dimension. - I have then taken another piece of Pink gingham card stock and cut so it's 1cm smaller all around than the A5 card blank. - Then I have taken a piece of White hammered card stock that's 5mm larger than the Pink gingham (or you can use your layer perfect) and placed a strip of 6mm red liner ultra strong tape all around. Peel the backing off the tape and coat well using the iridescent white glitter. Making sure you rub the glitter into the tape to ensure theirs a full coverage. - As double sided tape won't adhere to glitter. Take your Pink Gingam card and place silicone glue on the back and attach to your White hammered card with the glitter edges. 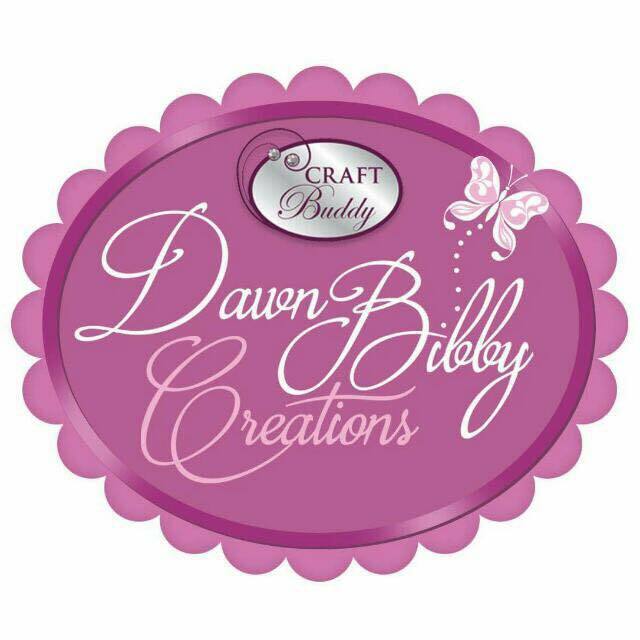 Now mat this double layer onto a piece of Pink textured card stock by Bazzill Basics. - Before attaching the mats onto the card black, place a stip of 16mm Baby Pink satin ribbon down the left hand size and secure firmly on the back using double sided tape. Now attach to card blank. - Take you stamped image that has the 3D foam on the back and attach to your card base. Stamp your chosen sentiment and mat onto Pink Bazzill card stock. Attach using 3D foam. - Tie a Pink bow and attach using silicone glue. You could also repeat this process and create a card but for a boy. You could use the Baby Blue gingham card stock, Blue Bazzill Basics and of course colour the image in with blue shades of Promarkers. Fabulous card Craig. Love the image and your colouring is fantastic.